Rivalries—the kind that go down in history, like the one Ron Howard’s Rush is based on—are almost always grounded in contrast. Machine-like BjÃ¶rn Borg versus combustible John McEnroe; flashy Magic Johnson versus steady Larry Bird; dancing, brash Ali versus lumbering, stolid Foreman—all of them captivated audiences because they were as much about style as talent. Winning wasn’t really the only thing; people could also argue over whether it was important how you looked while you were doing it. Rush, however, takes its cues less from the great sports rivalries than from one based in the arts: the Mozart versus Salieri dynamic of Amadeus. And in so doing, the film inadvertently manages to say as much about the reputation of its director as it does about the story at hand. 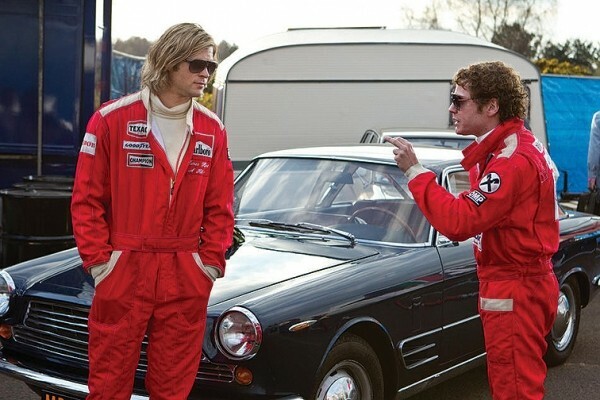 Because if Howard is likely to be compared with either of the key players in this fact-based tale of the mid-’70s Formula 1 racing rivalry between cocky, daring James Hunt (Chris Hemsworth) and diligent, risk-averse Niki Lauda (Daniel BrÃ¼hl), it’s the latter. Despite being an Oscar winner for A Beautiful Mind—or, depending on how cynical your view is of those awards, because he’s an Oscar winner—Howard’s reputation among cinephiles ranges from “generally competent” to “workmanlike.” He’s the guy who’s going to take whatever story you give him and deliver something perfectly watchable, but you’re never going to go to one of his movies for the privilege of seeing a master direct the hell out of a motion picture. This story is exactly the kind at which Howard has proven most adept, using the framework of real-life characters as he did so effectively with A Beautiful Mind, Cinderella Man and Frost/Nixon. The action begins with a crucial race in 1976, before flashing back to the early years of the rivalry between Hunt and Lauda on the minor leagues of the European racing circuit. Howard and screenwriter Peter Morgan—who collaborated on Frost/Nixon—effectively set up the initial parallel between the two men as children of privilege who rebel against the expectations of their families, before focusing on the clash of styles that differentiated them. Mostly though, there’s racing—a lot of racing—and Howard shows some flash in those scenes that hasn’t been typical of him in the past. Working with Danny Boyle’s longtime cinematographer, Anthony Dod Mantle, Howard finds the kinetic appeal of racing without resorting merely to two-second edits, although it’s hard for him to get past the fact that one shot of a car moving very fast around a track looks a lot like the previous shot, and the one before that, and so forth. There’s also some great material in Rush about the connection that develops between people whose greatest pleasure is beating one another. After a crash appears to sideline Lauda for the remainder of a season, he endures grueling rehabilitation—all while watching Hunt catch up to him in the season standings—motivated by the need to defend his title. And when a reporter insults Lauda during a press conference, it’s Hunt who comes to his defense with surprising brutality. While BrÃ¼hl’s performance is considerably more compelling than Hemsworth’s—BrÃ¼hl’s reactions perfectly capture the pique of a guy who genuinely can’t understand people who don’t see the world as rationally as he does—both actors embody the competitive respect that has always driven the great sports legends. Rush offers plenty to like in its study of the drive to win, and in the performances that anchor that study; it just doesn’t offer much to love. Like so many of Howard’s films over the years, it’s content to hit its marks—the montages, the character-arc peaks and valleys, the action beats—without ever finding a way to elevate the material. So we get the scenes of the two men wooing and interacting with their wives (Olivia Wilde and Alexandra Maria Lara) that rarely feel anything more than perfunctory, and add little to the distinction between their personalities. We get story-advancing scenes that might as well have “this is a story-advancing scene” written somewhere on the wall. Rush works, and maybe that’s rare enough that’s it not worth nitpicking. But as Salieri learned in Amadeus, there’s a great divide between art that works, and art that wows.